Employees want to balance work with the rest of the activities they wish to pursue in life. Work balance is especially important to your millennial employees who are used to cramming their days with diverse activities and hours of electronic communication. Employers are not responsible for providing work balance for their employees, but they can assist the employees to seek and maintain their own work balance. Optimistically, the decisions, policies, values, and expectations in your workplace support employees in their work-life balance choices. In the best case scenario, these employer choices help you to recruit and retain the superior employees you seek. Here are some things that you can control that encourage or discourage employee work-life balance. A flexible schedule does not mean that employees can come and go at will, which is a possibility that concerns employers. A flexible schedule policy spells out what the employer means by flexible hours. In many workplaces, flexible starting and ending times are easy to implement. More sophisticated flexible schedules such as a four-day work week or telecommuting require more planning, but flexible work schedules are a cornerstone of work balance. A favorite example involves a New York City online publishing company that allows employees to telecommute two days a week. With employees living in Brooklyn, New Jersey, and all over the other boroughs, this company policy saves employees hundreds of hours of commuting time and expense. It also enables them to have additional time for all of life's needs. Offer PTO in lieu of traditional paid sick leave, paid personal days and paid vacation. A paid time off (PTO) approach treats employees like adults who are capable of making decisions about how, when, and why to use the paid time off supplied by the employer. In a PTO system, neither employers nor employees need to worry about accounting for how the time off was spent. This eliminates confusion and the need for additional policies such as defining what constitutes a sick day. Yes, there are downsides to PTO, but not in terms of work balance. If the goal of paid time off is to encourage employees to do just that—take time off—paying employees for the time is counterproductive. 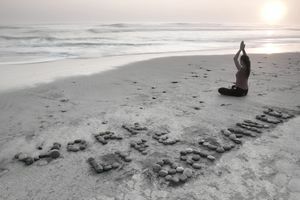 Even if employees want to donate the value of their paid time off to a charity or a coworker who has used his or her time up for valid reasons, these actions do not encourage the work balance and rejuvenation that your employees need. Managers and senior managers need to model the work balance they’d like to encourage their employees to exhibit. When a manager uses PTO to take a vacation yet responds to email as if she is in the office, this sends a powerful message to employees about whether they need to do email while on vacation. The actions of senior leaders are heard and observed by employees. When a senior manager calls in for unimportant meetings while out-of-the-office, employees get the message. It affects their personal choices for work and life balance. With employees electronically connected to the workplace 24 hours a day, 7 days a week, in the office or out, work and life balance is a challenge. Set up the expectation, in your workplace, that when an employee leaves for vacation, it is okay to send an email that says he is on vacation with limited access to email. Honor the employee’s PTO by not contacting him unless it is truly an emergency. attending online grad school in another state for the four required two-week onsite sessions a year. Sponsor employee and family events and activities monthly to encourage team building, friendships among employees, and the inclusion of families in work events. At the same time, schedule some of the events for adults only. Provide babysitting at the event or elsewhere, if it will encourage employee attendance. It’s okay to expect employees to work long, hard hours during the push for a timely product release, for example, or at a trade show for three or four days. But, employees can’t sustain an extraordinary level of energy and long overtime hours as a constant work expectation. Employees will check out, burn out, and/or leave if long hours and extraordinary effort are the norms. Don’t confuse commitment, engagement, and dedication with 60-70 hour weeks. Shopping online at a sale while at work is often mitigated by the employee responding to emails at 10 p.m. You don’t want to encourage your employees to talk with their children while at work. Nor do you want to encourage employees to use online time during the workday for personal reasons. But you need to recognize that for many, especially professional employees, the line between work time and lifetime is no longer distinct. Would you prefer that the employee take a half day off to do his holiday shopping or spend twenty minutes making a quick purchase online? Or, do you want a mom has to leave early most days to make sure her children got home from school? Do you really want to monitor whether an employee is posting a joke on Facebook or avidly recruiting potential staff for your open position? You can trust adult employees to make good choices. Deal with the individuals who don’t—individually. Employers tend to believe that every job is a full-time job, but not all jobs need a full-time employee. Consider the talent that would be available to your organization if you hired employees for part-time hours. With the appropriate two people, job sharing can also work effectively for employees who you want to retain while they start families or homeschool, for example. Creative employers and employees will think of more ways that employers can support employees in their quest for work-life balance. Start with these ten ideas to take a giant stride to support your employees in their efforts to fully participate in all aspects of their work and life.